The Lions have been holding an Antique and Collectors Fair for many years. 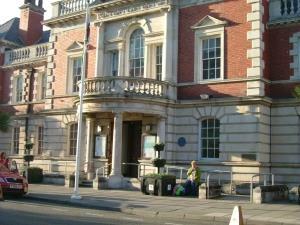 It is held every first Saturday of the month in Llandudno Town Hall. Close to shops, restaurants, cafes etc. A wide variety of items on sale with prices to suit everybody's budget from £1 to £100s. All profits to local charities. Follow the A470 into the town centre. This road leads to Mostyn Street; continue along this road. turn left by the HSBC bank into Lloyd Street and the Town Hall will be on your right.